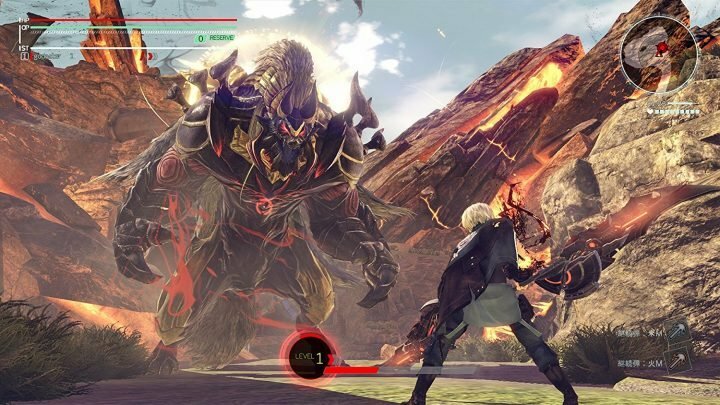 Bandai Namco is bringing the monster hunting adventure God Eater 3 to the Switch this summer, so you can finally head out and chase monsters while on your commute. The game's already out on other platforms, but this will mark its debut on the Switch, which is great news if you were thinking about adding another game to your library. And honestly, at this point, who isn't? God Eater 3's the perfect kind of game for the handheld, too. The sequel to God Eater 2: Rage Burst, God Eater 3 introduces a whole new set of features, including new weapons, giant enemies, a "robust" character creator, the ability to play solo or with friends, and Japanese and English voice acting options, depending on your preference. The anime-centric RPG series from Shift is an intriguing one, and now that it's coming to the Nintendo Switch, you'll be able to take it with you on the go. "God Eater 3 rewards you for diving deeper into its mechanics. There’s a lot to like here when it comes to customization and combat, but the story and level design leave a lot to be desired. While the graphics are pretty, they feel a bit too simple at times, especially when comparing them to similar games like those in the Monster Hunter series. Still, though, Bandai Namco have managed to pull the God Eater series to a new high. While it isn’t the best game you’ll play this year, fans of the series will want to pick it up to see the changes made to the formula for themselves. If you’ve never played a God Eater game, though, you’re honestly just better off letting this one slip on by." God Eater 3 is coming to the Switch on July 12. Mark your calendar!